Fortunes ebbed and flowed but Indian shooters, led by the mercurial Gagan Narang, experienced more highs than lows in a year that saw them clinch a record 30 medals in the Commonwealth Games in Delhi. A measly haul of eight medals in the Asian Games in Guangzhou following the high at home was the only blip in an otherwise satisfactory year. After a mixed bag in the World Championships, India's marksmen, led by Narang and Beijing Olympic gold medallist Abhinav Bindra, kicked off the CWG campaign in grand fashion, winning the 10-metre air rifle gold in team as well as individual event on the first and second day respectively. The likes of Vijay Kumar, Omkar Singh, Gurpreet Singh and Anisa Syed maintained the tempo throughout to help the country finish with a whopping medal haul in front of a partisan crowd. But as the year drew towards close, the home shooters somewhat ran out of steam and failed to finish it off in a blaze of glory. Expectations touched an all-time high after the unprecedented success on the home range but the same set of shooters, who were shooting gold by the bagful in the CWG, buckled under pressure a month later on foreign shore. From 30 medals, including 14 gold, 11 silver and five bronze, the numbers plummeted to four bronze, three silver and just one gold through Ronjan Sodhi - in the span of just over a month. Going by their exploits prior to the Asiad, that surely was a misfire. "We did reasonably well in the World Championships, were pretty good in the Commonwealth Games, but our performance in the Asian Games was not good. So we can say it was more or less a mixed year for us," said national coach Sunny Thomas. As far as individuals are concerned Narang was undoubtedly the cynosure of all eyes on the Indian shooting firmament. 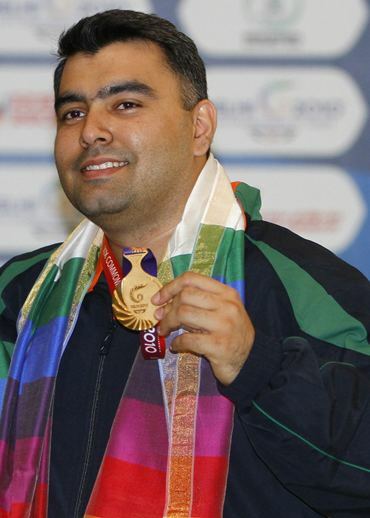 Thanks to his consistent showings over the past 12 months during which he had won a staggering 16 medals including four gold in the Commonwealth Games and two silver in Asiad, Narang will end the year as the number one Asian shooter, according to the latest rankings issued by Asian Shooting Confederation. Despite narrowly losing the Asian Games gold to China's Zhu Qinan, the ace marksman from Hyderabad pipped the Chinese for the top spot in world rankings on points. Thomas was candid enough when the question "who was India's best according to him in 2010?" was put to him. "Without a doubt it has to be Gagan. He has been the outstanding shooting of the year. Ronjan [Sodhi] was also very good and he saved our face by winning the lone gold in the Asian Games, but Gagan has been the most consistent," Thomas said. Apart from Narang, there were quite a few others like Hariom Singh, Ronjan Sodhi, Asher Noria and Tejaswani Sawant who also caught the attention with their exploits over the last 12 months. Narang and Hariom won quota places for the London Olympics in 2012, Sodhi won gold in the ISSF World Cup in Turkey before repeating his feat in Guangzhou, while Sawant and junior World champion Noria were the two world record holders of the year. 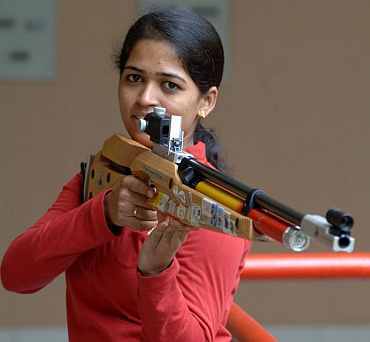 Courtesy her gold in the World Championship in Munich, Sawant became the first woman shooter from India to win the yellow metal. The success stories, however, got a bit drowned after the damp squib in Guangzhou. What may not have helped the shooters' cause in Guangzhou was the fact that they competed in three major competitions including two multi-sporting extravaganza -- World Championship, CWG and the Asian Games -- one after another in a short span of time. After a few individual achievements in the World Championships, Indian shooters reached the pinnacle in the Commonwealth Games and fired in unison. But, by the time the Asiad came calling, their form dipped a bit and that hampered their chances. 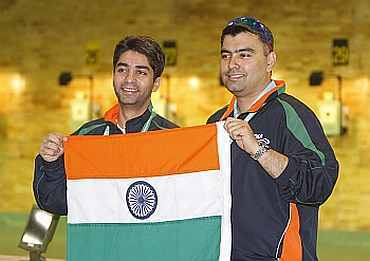 Even as Narang scaled new heights, success eluded his illustrious air rifle partner, Bindra, for a major part of the year. Since winning a historic gold in Beijing in the summer of 2008, Bindra has somehow not been able to reach those dizzy heights. Another worrying sign is the inconsistent show of shotgun shooters. Of the 30 medals, only three came from shotgun event at the Karni Singh Ranges in Delhi, and Guangzhou also didn't turn out to be a favourable one for them. 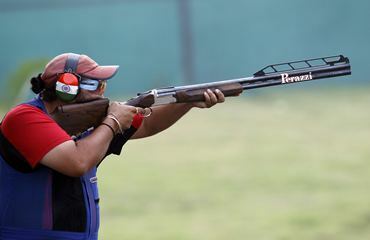 The shotgun team, despite the presence of double trap world record holder Sodhi, former world champion Manavjit Sandhu, Noria, and one of the most experienced trap shooters in Mansher Singh, failed to win a single gold at an event where the rifle and pistol shooters were winning medals with consummate ease. 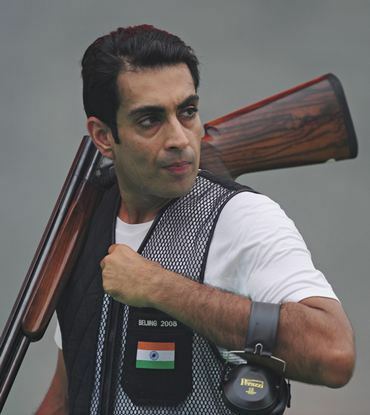 But, as a whole, despite the failure to live up to expectations in Guangzhou, it would not be an exaggeration to say that 2010 was one of the most successful years for Indian shooting.